Last week, we reported on President Nelson’s challenges to LDS youth in the worldwide devotional. We then reported how LDS youth were responding to President Nelsons’ #7DayBreakFromTheFake challenge to take a week-long break from social media to reconnect with reality. President Nelson acknowledged that “there are positives about social media,” and he didn’t ask them to stop using social media all together. 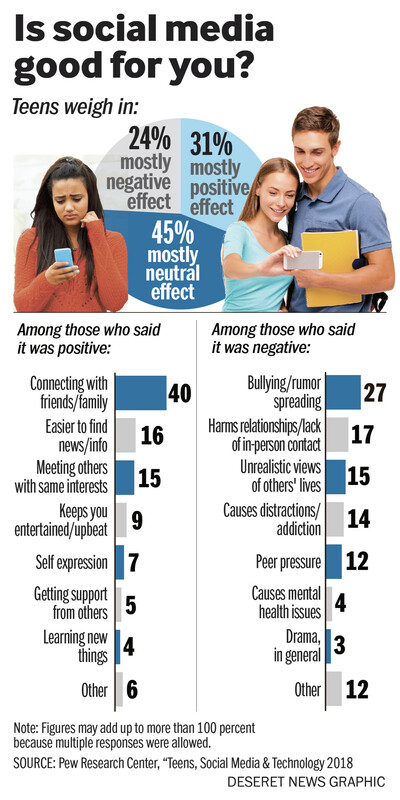 But this week-long break has caused many teens to take a more serious look at how social media affects them. 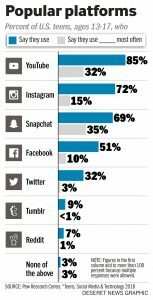 A Pew Research Center study shows that 95% of US teens ages 13-17 have access to a smartphone and 88% have a desktop or laptop computer. 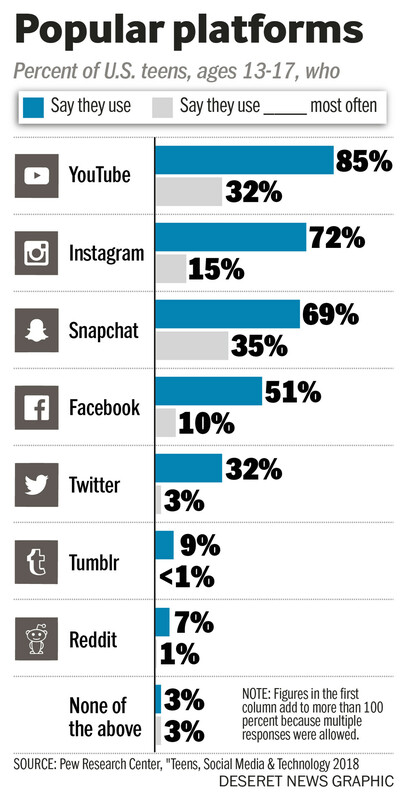 YouTube, Instagram, and Snapchat are the most popular platforms among teens. Gaming is also very popular, such as Minecraft and Fortnite. Teens often text each other, or talk “in person” using FaceTime. 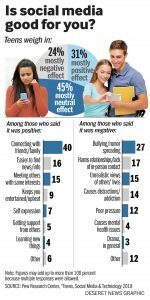 Teens have mixed feelings about how their phones and social media affect them. Many recognize that they waste time on their phones and that there are bad things to avoid. But many also see social media as a mostly positive thing because it allows them to connect with friends and family and build and maintain relationships. Others enjoy the friends they make through gaming communities. It is helpful to recognize that much of what others post on social media represents their most fun and adventurous moments. Therefore, it’s not healthy to make comparisons with our average moments in life. This can lead to feelings of jealousy and diminished self-worth. One in four kids has had a bad experience online. Sometimes that involves bullying, being left out of experiences with other friends, or an embarrassing photo or comment. Choose what’s energizing and avoid what’s draining. Unfollow people or sites that are not uplifting. Look for ways to do good online. Actively seek to uplift others. Use social media with a purpose—for healthy socialization with friends or to get news—rather than simply to pass time. Follow LDS Church social media sites or other spiritually-oriented pages. Limit your time on social media. Apps like Moment can monitor the time spent on each app. Don’t use social media as a substitute for face-to-face interactions. Turn off social media notifications so you can focus on homework or other tasks. Teens and parents should talk about safety—not just physical safety but social and emotional safety. Discuss privacy settings, password issues, and helping teens identify a network of peers and adults they can turn to when something goes wrong online.